It’s time to put a “Guardian” around your pool! With Guardian, every Pool Fence installation is customized to your specific swimming pool or backyard. Ourremovable mesh fencing systems come in a variety of colors and styles specifically designed to match the aesthetics of the surrounding area. We have tried to make this the best looking, most transparent pool fence on the market using the safest and strongest pool fence available anywhere in the world. 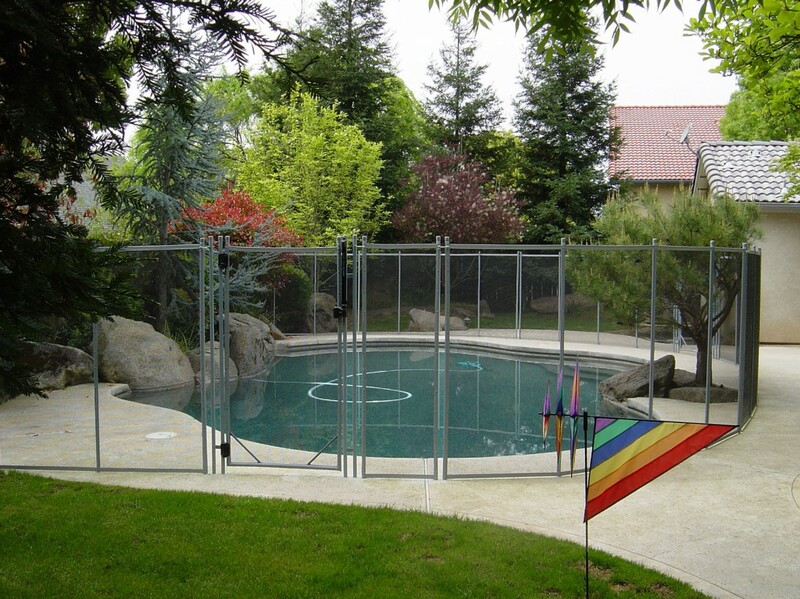 Guardian’s removable pool fences are very attractive with strong transparent mesh material. The Guardian Pool Fence gate features a Patented* climb-resistant, self-closing, self-latching system, We only use the MAGNA LATCH system on our fence because it is the safest and best designed latching system in the industry. The manufacturer of MagnaLatch promotes their latch as “The World’s Safest Gate Latch” and we completely agree. Nothing that we have seen in the industry has even come close to the quality of this pool gate latching system. This latch is also key locking.